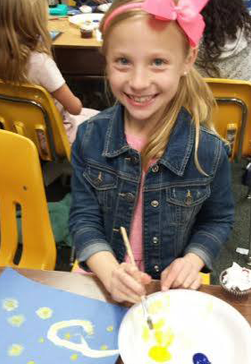 At Queen Creek Elementary (QCE), we are proud to offer a wide variety of programs to our students. We invite you to learn more about the clubs and activities available below, and give us a call at (480) 987.5920 if you have any questions. Art Masterpiece at QCE is a wonderful opportunity for our community volunteers to come into the classrooms and share their love of art with the students. 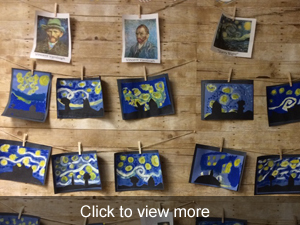 This program is only possible with amazing art masterpiece volunteers and community members who have donated supplies. 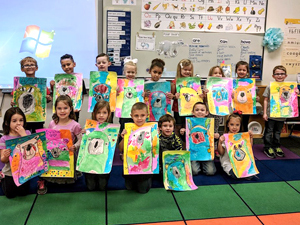 If you are interested in participating in the Art Masterpiece program, please contact our site coordinator, Darla Kaesler via email. Thank you in advance for all you do to enhance the educational experiences here at QCE! 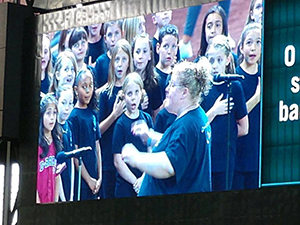 Our choir program is available all year. For more information, please contact Amy Frieson. 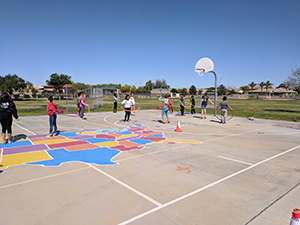 “It’s amazing what we can accomplish when we’re in it together!” We work with a variety of local organizations throughout the calendar year to coordinate projects that directly benefit the students, staff, and families at QCE. If you would like to get involved, please contact us! We will let you know when our next event will take place! We provide all students the opportunity to learn and use computer technology. Every class is scheduled for weekly computer time. We listed some of our favorite learning websites on this page, and encourage you to check them out. 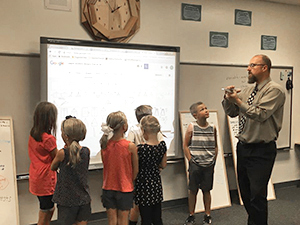 Queen Creek Unified School District provides an Enhanced Learning Program (ELP for students in grades K-5.) The ELP program is a pullout program where students work with the ELP teacher for two to four hours per week depending the student’s grade level. A student may be nominated for the gifted program by parents, classroom teacher, principal, school psychologist, or resource teacher. Standardized test scores (Stanford 9) above the 90th percentile will be the major criteria for consideration for screening. School personnel, using the COGAT Test, will test a student recommended for screening. Students will be eligible for the placement in the ELP program if they score in the 97th percentile on any of the placement measures of the approved test. All students enrolled in our district whose primary language is other than English are eligible to be placed in the English Language Learner (ELL) program. We include a questionnaire in the application packet for parents to complete. Todos los alumnos que entran al distrito y no tienen como su primer idioma el inglés, serán elegibles para nuestro programa de English Language Learner (ELL). Un cuestionario está incluido en el paquete de registro. Favor de llenarlo y devolverlo a la oficina de la escuela. Llame al número (480) 987.5940 para más información. Our QCE Special Olympics Team includes student athletes in grades kindergarten through fifth grade. For more information, please contact our coach, Mrs. Raymond. 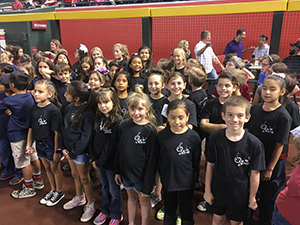 In alignment with our district’s strategic plan, Excellence through Leadership: Engage, Empower, Excel, Queen Creek Elementary provides a variety of opportunities for our students to develop and utilize their leadership skills. One of those ways is for them to participate in the district-wide Lead Out Loud program. 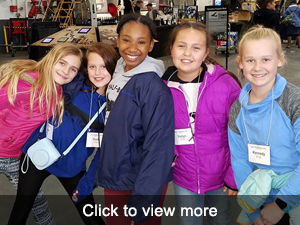 This program allows any fourth or fifth grader who is interested in building their leadership skills to participate in various activities throughout the school year, including the district-wide leadership conference scheduled for the beginning of the year. If your child is interested in participating, please fill out our student conference nomination form and submit it to the office as soon as possible. For more information, please contact our QCE coordinators, Mrs. Dolence via email or Mrs. Madriaga via email. Attention Eagle Family! As you know, parental involvement is a crucial component to a school's success. 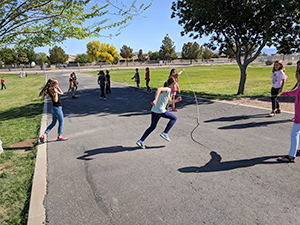 One of the ways you can be involved at Queen Creek Elementary School is through our site council, a parent, staff, student, administrator organization that meets one time per month for one hour throughout the school year. 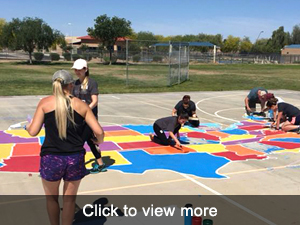 Our goal is to discuss school related issues that impact parents and students primarily and to listen to the concerns that parents and students have so that we can provide the best experience possible at Queen Creek Elementary School. If you are interested in joining our site council, please let us know by sending us an email so we can add you to our list! During the 2016-2017 school year, Queen Creek Elementary welcomed Rachel’s Challenge to our campus. 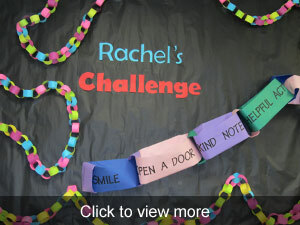 Rachel’s Challenge is a non-profit organization that works to reduce bullying and violence at school. 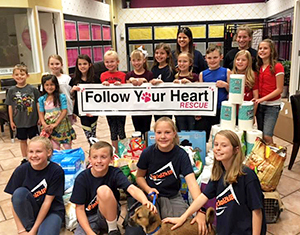 This organization was created by Darrell and Sandy Scott after their daughter, Rachel, was killed in the Columbine High School shooting in 1999. The focus of the organization is to promote and continue Rachel’s vision of starting a chain reaction of kindness and compassion. Please talk to your child about the QCE chain of kindness and encourage them to participate! For more information about Rachel’s Challenge, please visit their website. Running Club at QCE begins in the fall and runs through the district-wide meet in the spring. For more information, please contact Mrs. Schreiber. At QCE, we love to offer multiple opportunities for our students to assume leadership roles on our campus. One of the ways we do this is by having elected student council officers. If your child is in fifth grade and is interested in running for office, please contact either Mr. Thalke via email or Mr. Quinn via email for more information. We will hold elections after we get back from summer break. We will send detailed information home with all fifth grade students in August. 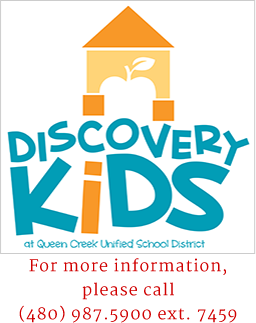 If you are interested in supporting QCE through tax credit donations, please visit our district Arizona Tax Credit page for more information.